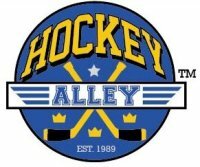 Hockey Alley is a unique, patented ice hockey training facility designed and built specifically for individual instruction. Located at 2697 Lavery Court in Newbury Park, the alley ice surface measures 20 feet by 60 feet and is perfect for team practice or practice games. The primary alley can be rented and pucks are supplied by Hockey Alley. For more information, visit www.hockeyalley.com or call 805.375.6092.